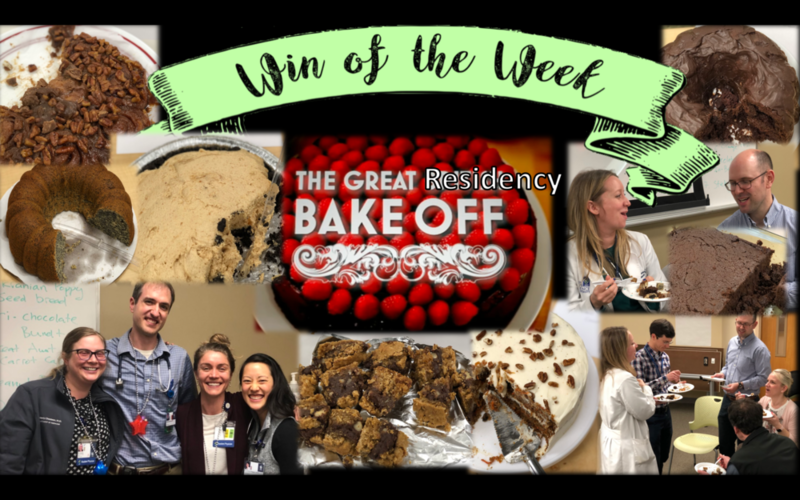 This past week, the OHSU IM Residency Progam enjoyed THE GREAT RESIDENCY BAKE-OFF, in which residents/chefs were challenged to bring their best work for all to taste. A panel of esteemed, critical (but fair) judges convened and crowned DR. KIMBERLY CHESTEEN with the golden apron for her rendition of "Great Aunt Sue's Carrot Cake". Dr. Kaleb Keyserling and Dr. Amy Nelson took 2nd and 3rd place for "Peanut Butter Pie" and "Chocolate In-Betweens", respectively. CONGRATS DR. CHESTEEN AND ALL OF OUR BAKERS/TASTERS. YOU ARE OUR WIN OF THE WEEK! WIN OF THE WEEK: MATCH DAY!! !